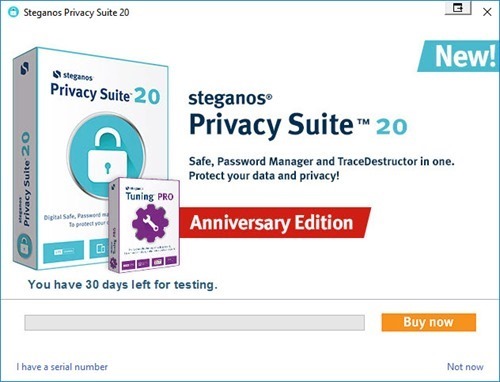 Steganos is celebrating their 20th anniversary this year, to celebrate that they gave 5 full version license of Steganos Privacy Suite 20–Anniversary Edition for Geekiest Readers. There are some other offers on the website too like you can get Privacy Suite and Tuning Pro together for the amount of $59.95 that is the price of Privacy Suite. The installer is not an offline one you may need to have internet connection while you install the software. If you want to try the application you can have a 30 day Free trial of this application. Just download the application from the above url and install. If you own previous version of this application (17, 18 or 19) you can get a discount of $20 if you buy a license, choose “Buy upgrade license” for that. 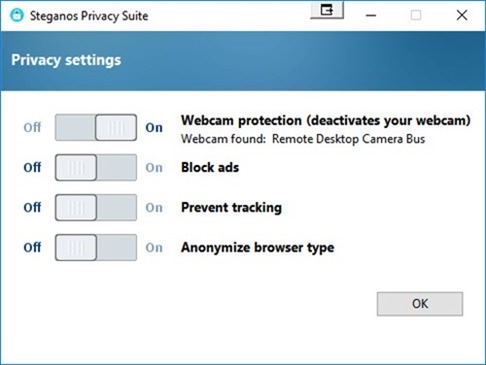 The home screen below shows what are the features Steganos Privacy Suite 20 is having. 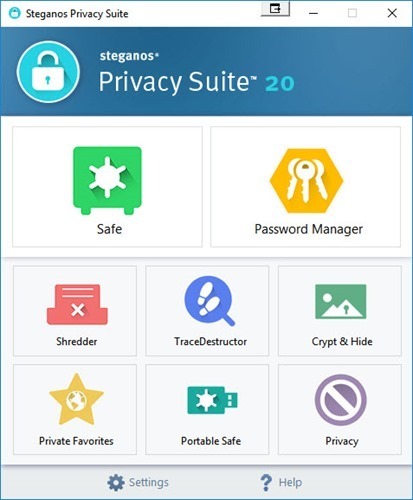 If you want any of these features idividually you can buy Steganos Password Manager 20 ($24.95) or Steganos Safe 20 ($39.95) separately. Do you want to keep your files safe and encrypted ? Steganos Safe 20 will help you to do so. 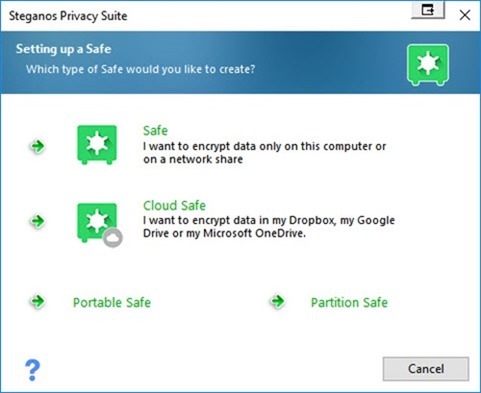 You can have a Safe which is on your PC, encrypt data and save it to cloud like Google drive, Dropbox or one drive, portable safe or even can safe a partition. 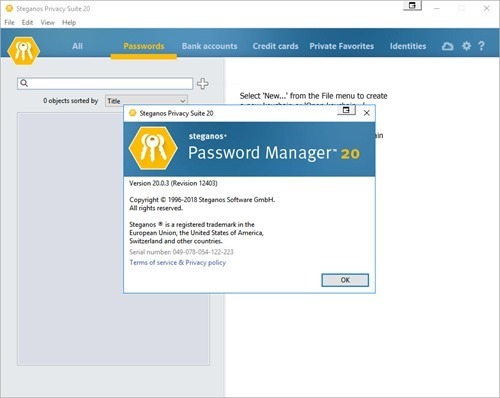 Steganos Password Manager can help you to create strong passwords and also can remind the passwords of all your accounts. It also supports picture passwords, if you can remember a series of pictures instead of series of letters. Virtual keyboard will keep you safe from keyloggers. 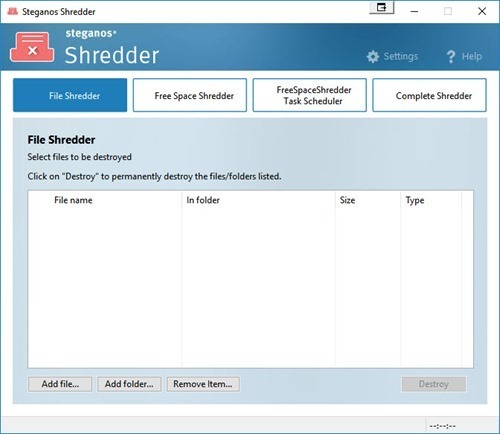 Do you want to delete a file or folder permanently (normal delete or format will not remove your files or folders permanently) Steganos Shredder can do that. It have option to delete files or folders permanently. Free Space shredder will clear the free space in your hard disc so that the files or folders which are deleted earlier will not be recoverable. You can schedule the job or also even can shred complete system if you want to. If you are selling a system it will be good to shred the complete free space. 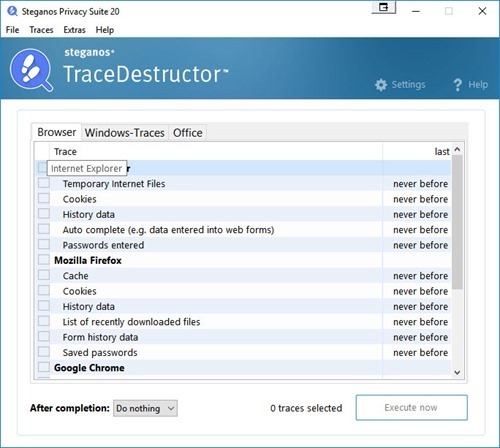 Steganos Trace Destructor can remove the complete traces of your browsing (such as cookies, temporary internet files etc. ), Windows, office usage. Geekiest have 5 full version licenses of Steganos Privacy Suite 20, the keys are exactly same as the keys you buy from the developer. No limitations. 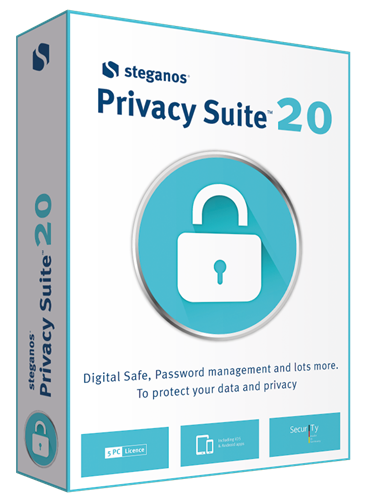 Steganos Privacy Suite 18 - An application which can help you to protect your files and Privacy.